Comments Off on 9th Season of GACTA Middle School Tennis Starting in Late March 2019! 9th Season of GACTA Middle School Tennis Starting in Late March 2019! 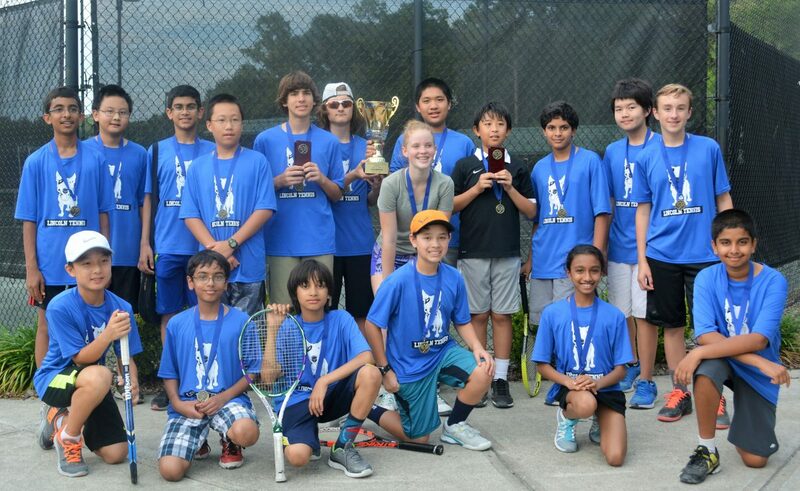 The 9th season of GACTA’s Middle School Tennis season is starting soon! This no-cut program welcomes players of all levels. Matches will run from late March through mid- May at tennis courts in the Gainesville area. Participating schools include: Westwood, Howard Bishop, Kanapaha, Oak Hall, Jordan Glen, Oak View, Fort Clarke, and Lincoln. If your school is not listed and you are interested in starting a program please contact Anne Koterba, program coordinator at akoterba@nullaol.com or call 352-665-9544. For more details about the program, click here: 2019 middle school tennis fact sheet scholarships, and for a downloadable registration form, click here: 2019 middle school tennis registration form. 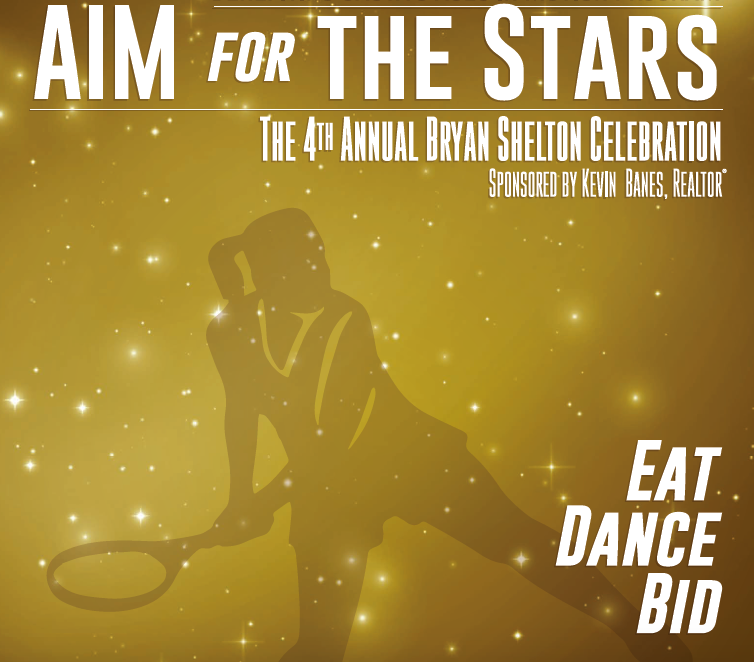 The Fifth Annual AIM for the Stars Gala features a new location at the Cade Museum, dinner catered by Blue Water Bay, and guest appearances by Todd Martin, MaliVai Washington, and Bryan Shelton. 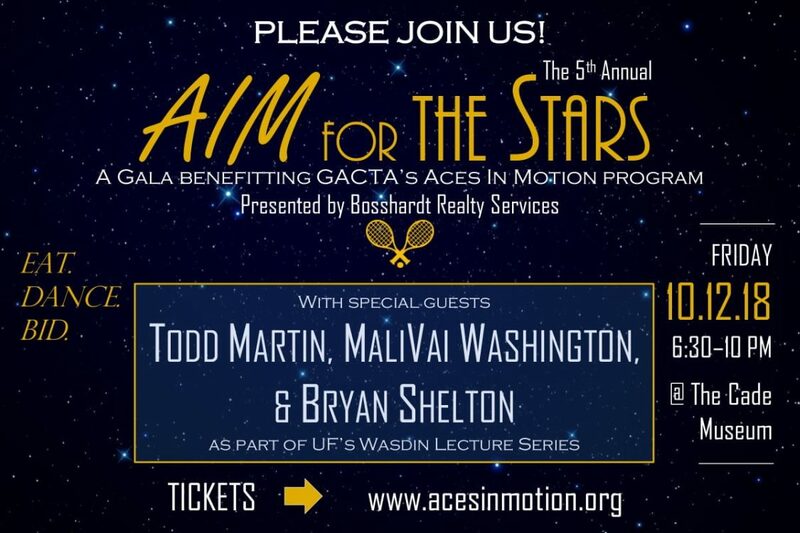 We think it will be a fabulous evening supporting a good cause, the Aces in Motion After-School Program. For more information, to purchase tickets, and to register for the silent auction, click on the link below or click here. Aces in Motion needs your support! The 24 hour Community Day of Giving begins on the evening of Wednesday March 21st and continues through Thursday March 22nd. 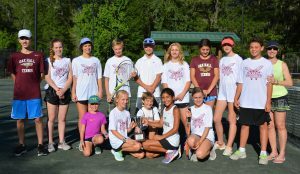 This spring, the Gainesville Area Community Tennis Association (GACTA) sponsored the seventh season of its no-cut GACTA Middle School Tennis league, which provided 160 local middle school students, from beginner to advanced players, an opportunity to play tennis in a team format for their school. As in previous years, the season ran during the months of April and May following the high school tennis season. Volunteer parent-captains recruited middle school students from eight middle schools under the guidance of Anne Koterba, President of GACTA and coordinator of the middle school tennis program. This year, as in 2016, a group of players from Sidney Lanier Center, a school for students with developmental disabilities, joined the Westwood Middle School team. The other local schools included Lincoln, Jordan Glen, Oak Hall School, Kanapaha, Howard Bishop, and Oakview, and newcomers the Smashers, a home school team coached by Sandra Phillips. 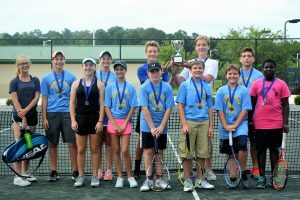 This year, the Middle School League Team Championship, mirroring the FHSAA State Tennis Championship’s changed to a team vs. team format (but with an emphasis on doubles), was held at the Jonesville Tennis Center. This year, Jordan Glen took home the 2017 Middle School Championship, and Oak Hall ended up the Tournament Finalist. The number #1 doubles team of Graham Louis and Austin Jones (Jordan Glen) was also recognized. GACTA’s no-cut middle school tennis program is sustainable because the hard costs are covered by a modest participation fee ($55), and because our local private and public tennis facilities generously provide teaching pros for practices and courts for both practices and matches. In addition, the parent-coordinators provide a great deal of volunteer help. The participation fee also generates enough revenue to provide scholarships for students from low-income families, as well as support GACTA’s Aces in Motion tennis outreach program for at-risk youth. 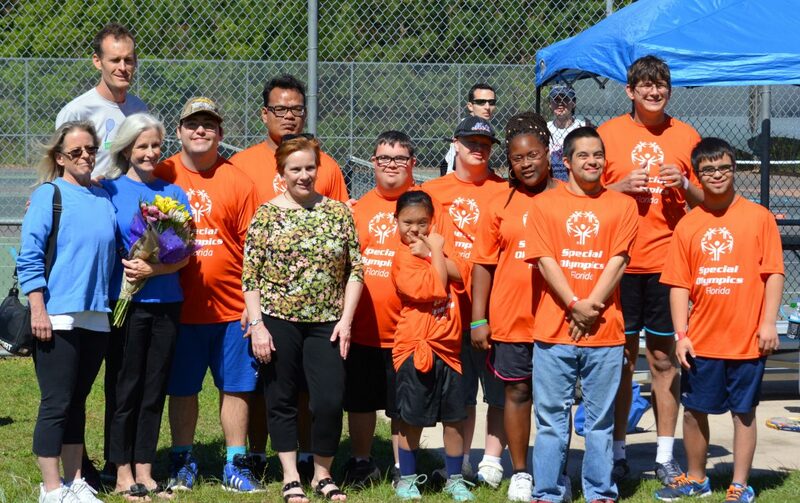 Again this year, Elizabeth Patterson, the parent-coordinator for Westwood Middle School and Special Olympics tennis coach, provided a unified playing experience for several Sidney Lanier players. They attended practices and competed in matches as a part of Westwood’s team. This year, the Jonesville Tennis Center (JTC), Westside Tennis, and the Haile Plantation Golf and Country Club provided courts for match play for the middle school league, and all of these facilities, as well as the 300 Club, “adopted” teams for practices. The Jordan Glen team was coached by Dave Porter (JTC) and the parent-coordinator was Nicole Christie. The Oak Hall team was coached by Chris McDonald (JETA) and the parent-coordinator was veteran Tammy Miller. 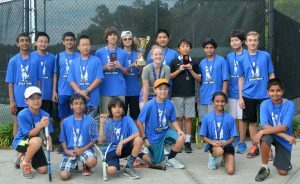 For additional photos of the 2017 Middle School Tennis season or for more information on GACTA’s programs, please see www.gainesvilletennis.org or go to Gainesville Tennis or Aces in Motion on Facebook. Click here to download the PDF Poster. 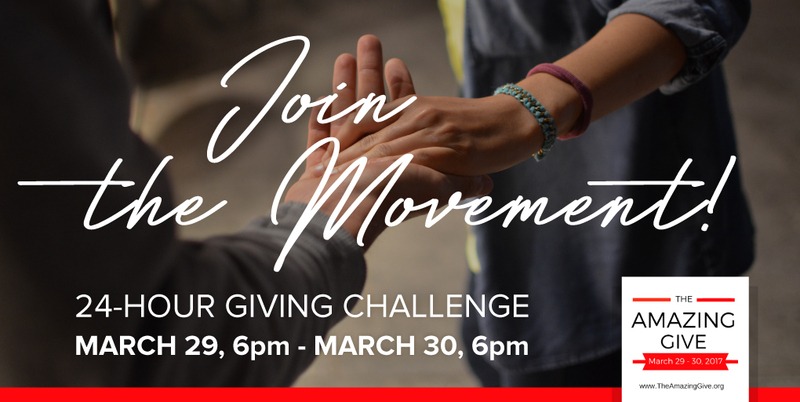 24 hours of community giving, from Wednesday March 29th, 6 p.m. through Thursday March 30th 6 p.m. Please support our Aces in Motion program. 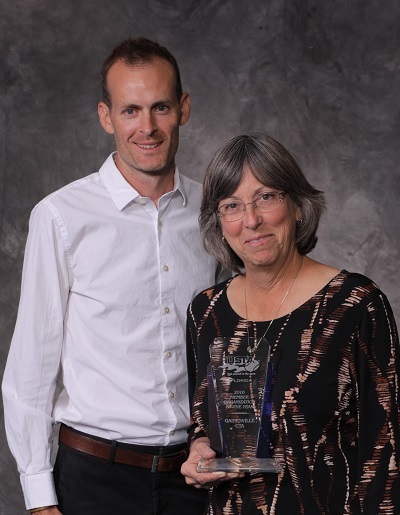 USTA national stole some of the thunder of this award when the GACTA was announced as the national NJTL Chapter of the Year Award recipient, and presented with the award at the US Open. Now the Gainesville community tennis association receives the Florida honor. This is the first Member Organization honor for the GACTA since its founding 12 years ago. It is the first for Gainesville since the Jonesville Tennis Center, which the GACTA’s advocacy brought about, received the award in 2010. Two outstanding components of the GACTA are the Aces in Motion tennis outreach program, and their middle school tennis program that has become a model for other communities. During the 2015-2016 school year, Aces in Motion programming reached more than 400 under-served African-American youth each week at 12 different sites in Gainesville. The GACTA’s no-cut Middle School Tennis league completed its sixth season this spring, with approximately 150 students representing nine schools, both public and private. 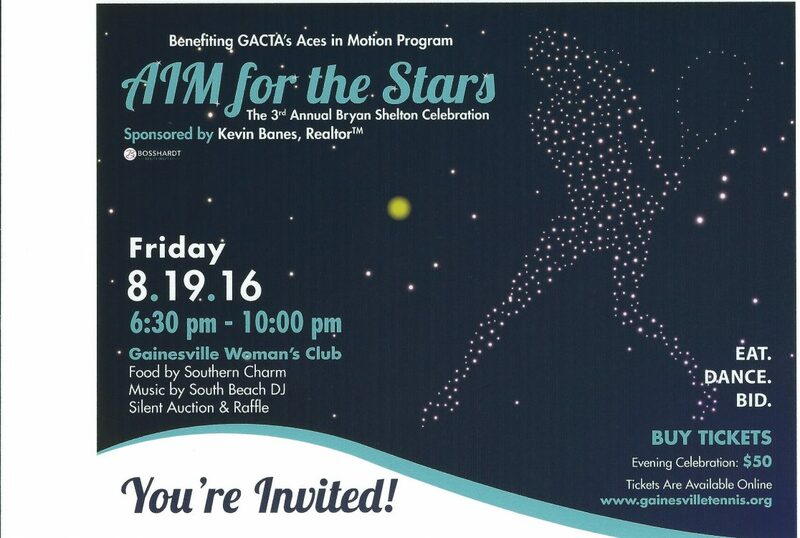 Get your tickets here for the Third Annual Bryan Shelton Celebration, a fundraiser to benefit GACTA’s Aces in Motion programming for students from low-income families and those with developmental disabilities. The event will be held on Friday, August 19th, 2016 at the Gainesville Woman’s Club, starting at 6:30 p.m. Highlights of the evening will include a welcome by Bryan Shelton, UF Head Men’s Tennis coach, presentations by Aces in Motion participants, and a tribute to Mike Oransky, in honor to his 35 years of service to the Gainesville tennis community. Dinner will be provided by Southern Charm, beer by First Magnitude, and music by South Beach DJ. Come eat, dance and bid at the silent auction! Purchase your tickets online @ http://aimforthestars.eventbrite.com or contact Addison Staples @ 352-514-9975 or Addison@nullacesinmotion.org. Sometimes it takes a village to get a tennis program started, and in our case, it certainly did. 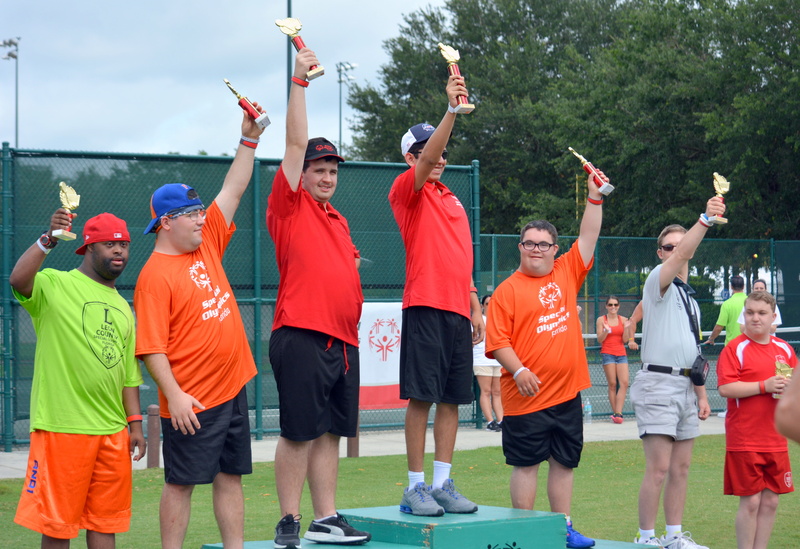 After many months of hard work on the part of organizers, volunteers, and athletes alike, for the first time ever, Alachua County was represented in the tennis competition in the Special Olympics Summer Games at the ESPN Wide World of Sports in Orlando. 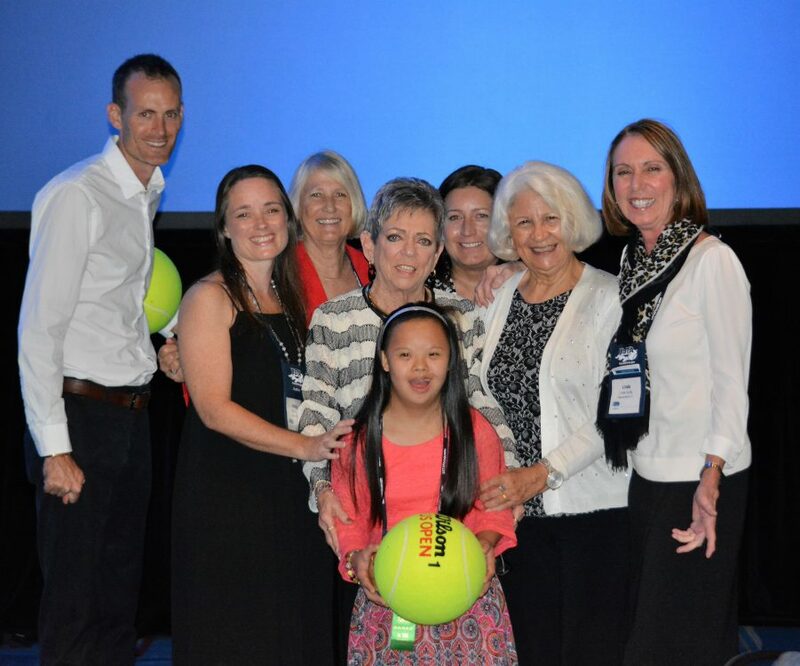 The journey started when a board member of the Gainesville Area Community Tennis Association (GACTA), Elizabeth Patterson, decided to focus her considerable energy and talent on creating a sustainable adaptive tennis program in Gainesville. She first approached Royce Kamman, the principal of Sidney Lanier Center, which is the only public school for children with developmental disabilities in our community. Mr. Kamman embraced the idea of bringing GACTA’s and the USTA’s resources to the PE program at Sidney Lanier. The center became a USTA Member Organization, and its PE program was registered with USTA. In partnership with the PE teacher, Winston Church, and with the assistance of USTA and the USTA Florida Section Foundation’s equipment and programming grants, low-compression balls, racquets and nets were acquired for the program. Weekly tennis instruction was incorporated into the PE curriculum, using volunteers from the tennis community and the University of Florida. 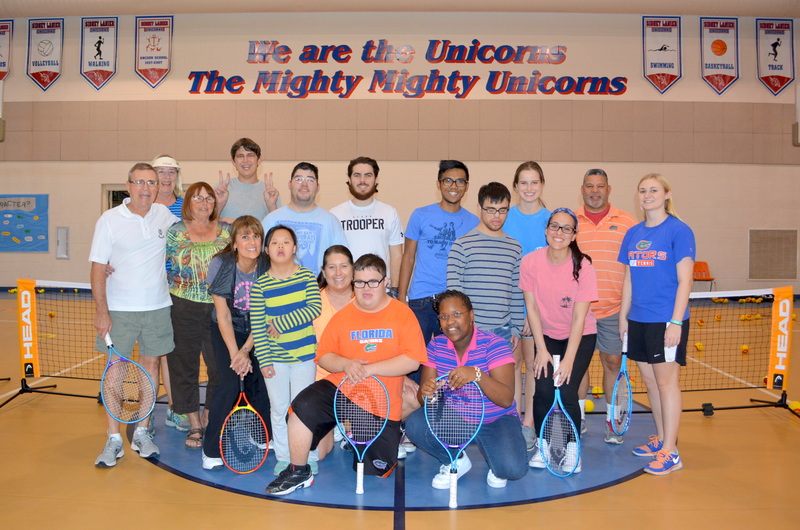 Chris Gonzalez, student organizer of Gator Pals, a UF student-run organization, partnered with GACTA to provide volunteers to help facilitate Special Olympics practices for the tennis athletes. Special Olympics Florida provided a day of on-site training, led by tennis pro Howard Chodek, as part of the Special Olympics coach certification process. UF’s Center for Autism and Related Disabilities also provided free training for our staff and volunteers on best practices for working with people with developmental disabilities, including how best to structure practices. 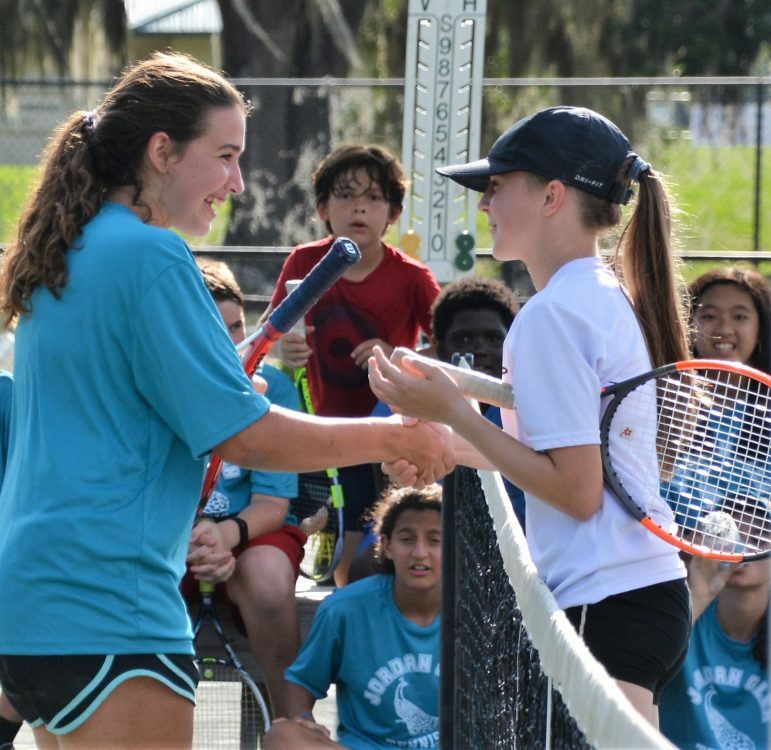 A generous local donor established the Aces in Motion Julie E. Best Memorial Tennis Fund to help fund the program, and the USTA Florida Section Foundation continued its support. 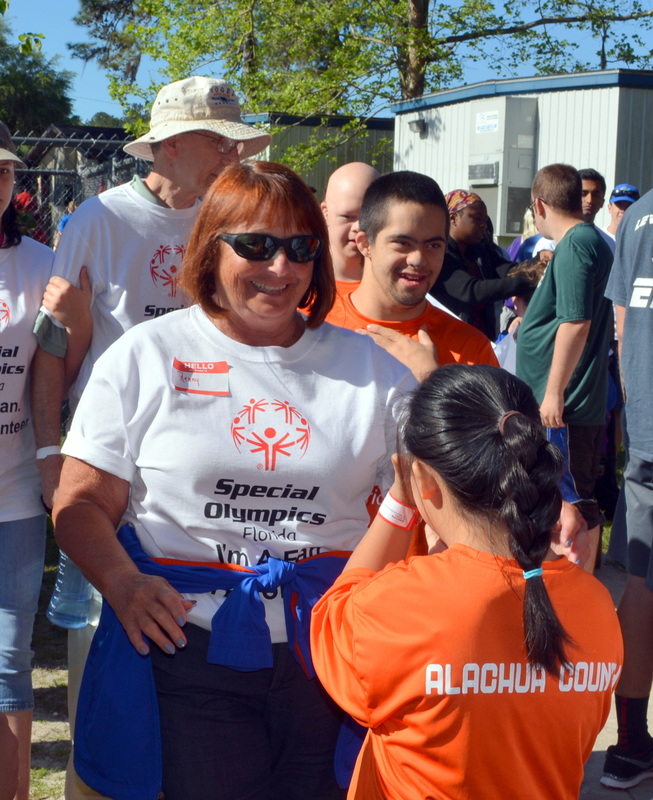 Another important goal for Elizabeth was to provide the athletes with an inclusive sport experience, and the Project Unify program of Special Olympics provided that opportunity. Taylor Byle, a UF pre-med student, had just organized a Project Unify flag football season for Special Olympics Alachua, and was volunteering as an assistant basketball coach for Sidney Lanier. In late 2015, both Taylor and Mr. Church assisted in recruiting Sidney Lanier students for the tennis program, and they both greatly helped us navigate the paperwork needed for establishing our local Special Olympics tennis program. 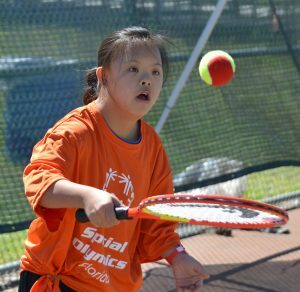 Weekly practices for the Special Olympics athletes began in late December, 2015, in the gym at Sidney Lanier, as well as at a city tennis facility. 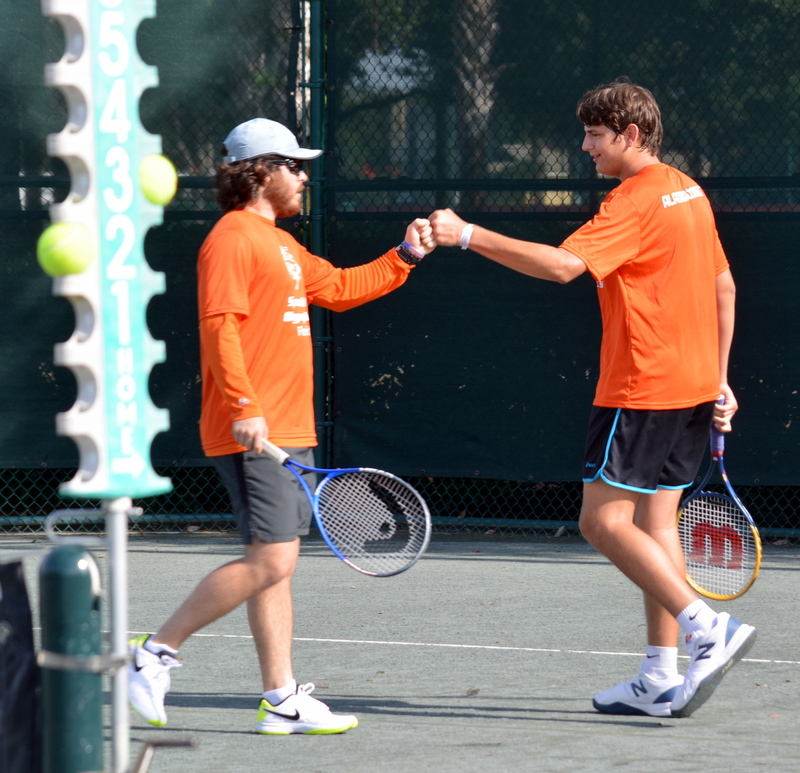 Volunteers came from both our local tennis community and from UF, many of whom formed a strong bond with the players. 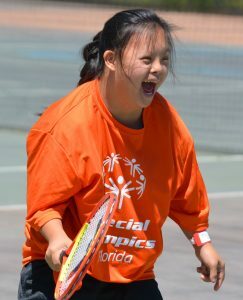 Athletes of all abilities learned tennis skills and made steady progression into various levels of competition. The athletes, as part of the “ACES” team, formed lasting friendships and became true teammates, cheering each other on in their skills and competition matches. This spring, the athletes first competed in County and Area Games in a variety of categories, including Tennis Skills, Red and Orange ball singles and doubles, and Unified Tennis Doubles, in which a Special Olympics athlete is paired with a “neuro-typical” player. Based on their results in the Area Games, seven of our tennis athletes and three Unified partners were chosen to attend the Special Olympics Summer Games, which was held at Disney’s ESPN Wide World of Sports in May. The Summer Games provided quite an experience for the athletes– the spectacular Opening Ceremony, two full days of competition, and the closing events, which included a player party and dance. 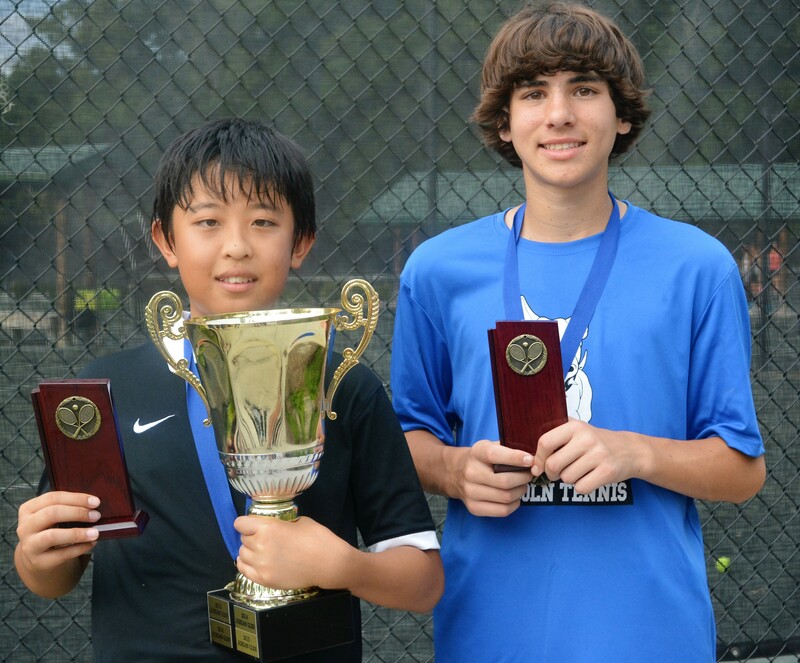 The tennis players from Alachua County were recognized repeatedly, being called to the winner’s platform over and over to receive their trophies and medals. 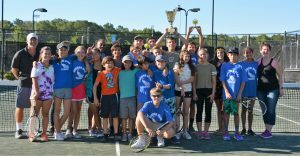 This spring, the Gainesville Area Community Tennis Association (GACTA) sponsored the sixth season of its no-cut GACTA Middle School Tennis league, which provided almost 150 local middle school students, from beginner to advanced players, an opportunity to play tennis in a team format for their school. As in previous years, the season ran during the months of April and May following the high school tennis season. Volunteer parent-captains recruited middle school students from nine middle schools under the guidance of Anne Koterba, President of GACTA and coordinator of the middle school tennis program. This year, for the first time a group of players from Sidney Lanier Center, a school for students with developmental disabilities, joined the Westwood Middle School team. The other local schools included Lincoln, Jordan Glen, Oak Hall School, Kanapaha, Howard Bishop, and newcomers PK Yonge, Queen of Peace, and Oakview. 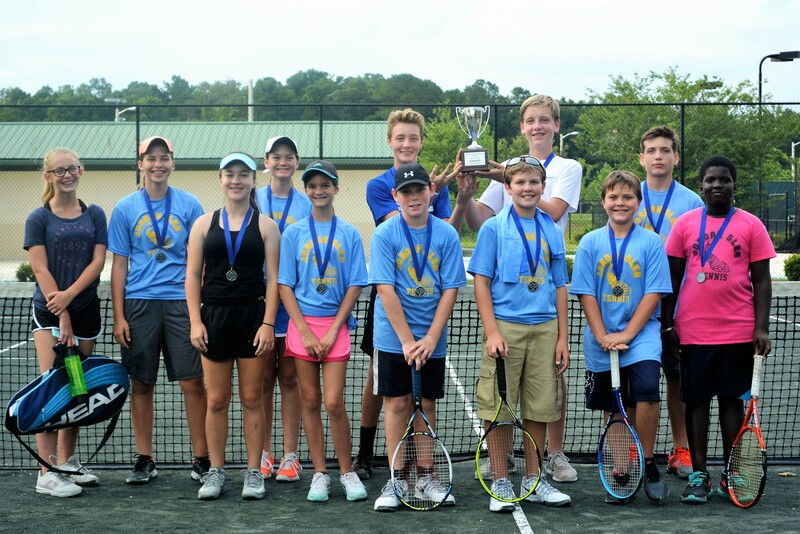 This year, the Middle School League Team Championship, mirroring the FHSAA State Tennis Championship’s changed to a team vs. team format (but with an emphasis on doubles), was held at the Jonesville Tennis Center. This year, Lincoln Middle School won the 2016 Middle School Championship for the first time, upsetting Jordan Glen School, which had reigned as Tournament Champion for the past four years. Jordan Glen ended up the Tournament Finalist, with Oak Hall School coming in third place. The number #1 doubles team of Ethan Cockey and Kejin “Jackson” Dong was also recognized. GACTA’s no-cut middle school tennis program is sustainable because the hard costs are covered by a modest participation fee ($55), and because our local private and public tennis facilities generously provide teaching pros for practices and courts for both practices and matches. In addition, the parent-coordinators provide a great deal of volunteer help. The participation fee also generates enough revenue to provide scholarships for students from low-income families, as well as support GACTA’s Aces in Motion tennis outreach program for at-risk youth. 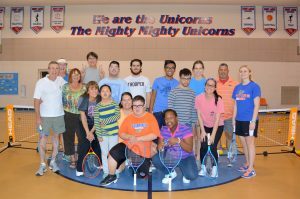 This year, for the first time, Elizabeth Patterson, the parent-coordinator for Westwood Middle School and Taylor Byle, both whom had coached a Special Olympics tennis group, provided a unified playing experience for several of those players. They attended practices and competed in matches, as a part of Westwood’s team. This year, the Jonesville Tennis Center (JTC), Westside Tennis, Oak Hall School, and the Haile Plantation Golf and Country Club provided courts for match play for the middle school league, and all of these facilities, as well as the 300 Club, “adopted” teams for practices. The new champions, Lincoln Middle School, was coached by Alexis King and Abdoulaye Toure, and the parent coordinator was Kim Beck. For more information on GACTA’s programs, pleasego to Gainesville Tennis or Aces in Motion on Facebook.